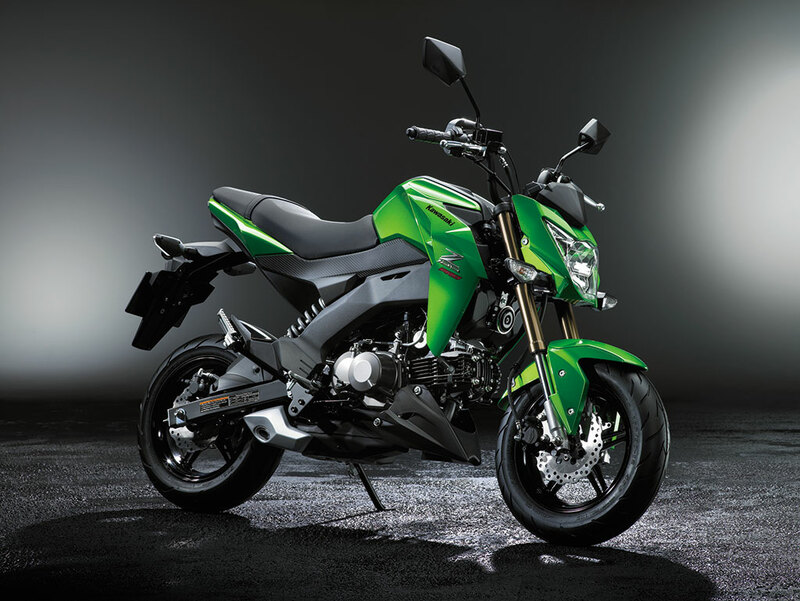 The Japanese colossus Kawasaki has introduced the most agile bike named as Z125 Pro to dominate the popular Honda Grom in the US two-wheeler market. 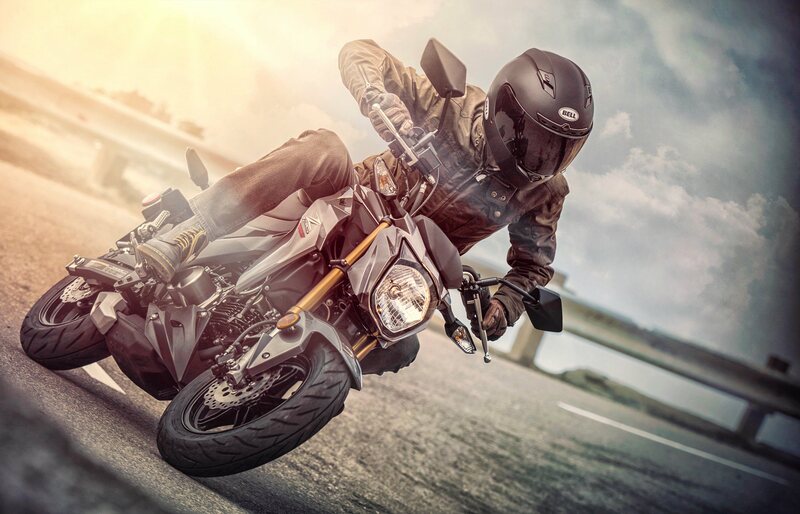 The motorcycle is going to be the latest arrival in the category of mini bikes. As far as it's launch is concerned in India, nothing is confirmed. Undoubtedly, the bike will suit all those who are looking for a fun adventure ride. 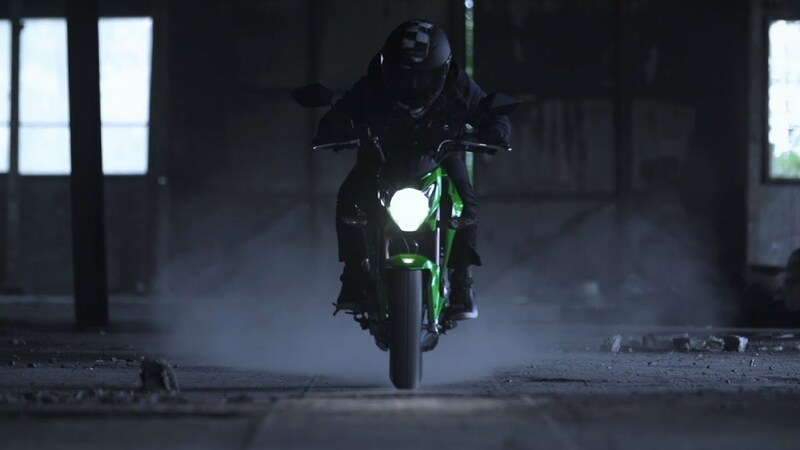 Under the hood, the Kawasaki Z125 Pro has been powered by a 125cc four-stroke, single-cylinder, SOHC, 2-valve, air-cooled, fuel-injected mill. The motor is tuned to give a quick acceleration over the streets mated to the conventional four-speed manual transmission. There is a link type shifter lever such as bulky size sports bike. Carrying a teeny-tiny weight of just 100 kg, the new mini voyager is having a chunk of technical bits as well. 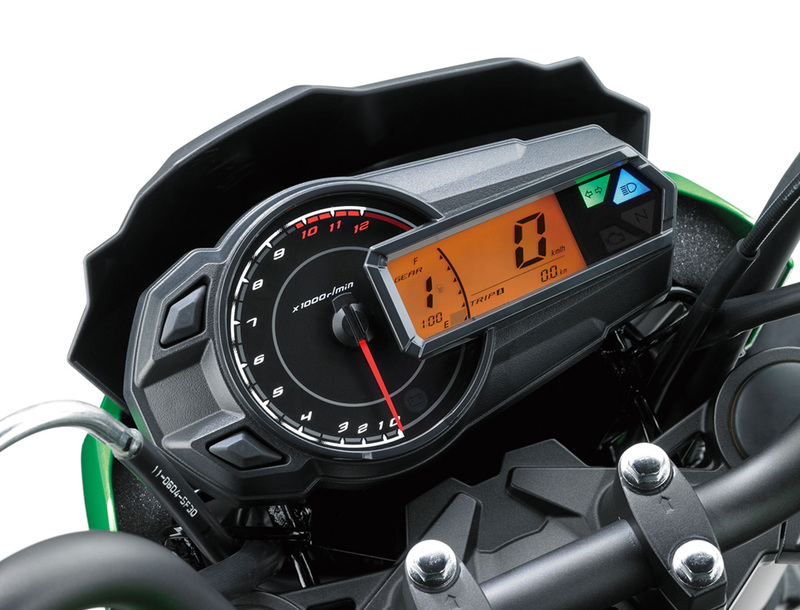 To display the fuel level, there's an LCD instrument panel, clock, trip and speedo trip meter. 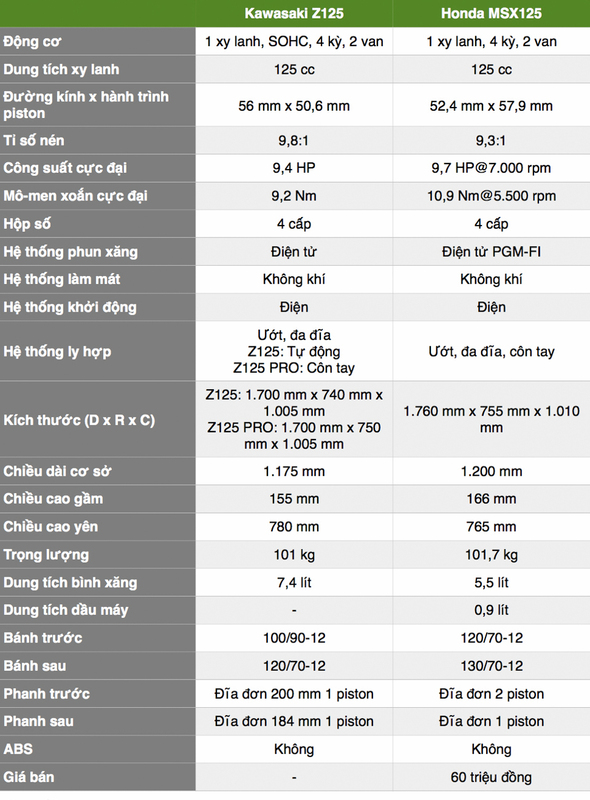 The stuff, which it excludes include a gear indicator that is there on Grom. 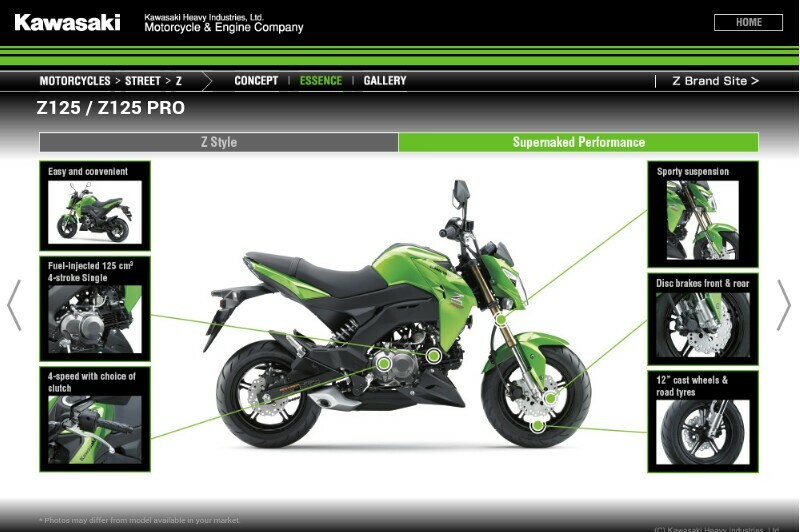 By far, the exterior is fairly identical to the other Z-series bikes of Kawasaki. Performing the braking duties, there is a single 200mm petal disc up front while a same petal disc of 184mm at the rear. The assembly of Kawasaki Z125 has been done on a small chassis. Suspension setup includes 30mm inverted front forks and an offset spring-loaded rear shock. The bike takes a ride on the 12 inch alloy wheels covered by 100/90 tyre up front while 120/70 at the rear. The popularity of mini tourers have been perceptible in South East Asian countries including the US. May be this is one of the main reasons behind its launch there. The 2017 Kawasaki Z125 Pro holds a price tag of $2,999.